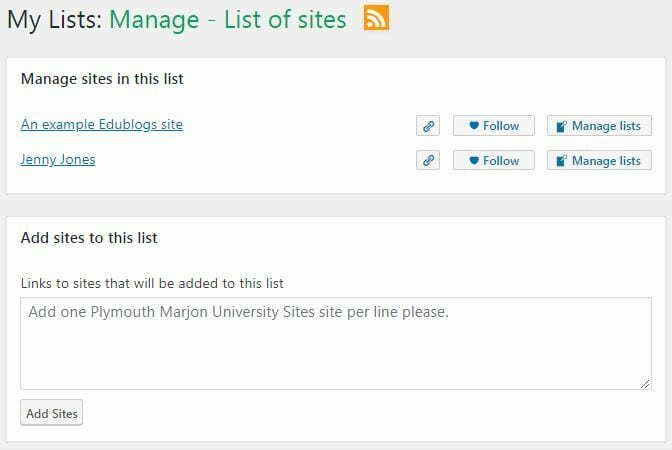 This blog post will help you to manage all your Edublog sites so that you can save time and save scrolling through lots of pages to find what you need. Do you find it difficult to find your Edublog sites? Are you frustrated by having to scroll through pages and pages of sites until you find the one you need? If the answer to any of the above questions is ‘yes’, then read on to find out how you can remove old sites from the drop-down list and also create separate lists to make it a bit easier to manage your sites. 1. Click directly on the ‘My Sites’ button and this should take you to all the sites you have. 2. 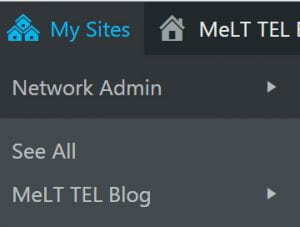 To remove the unwanted sites from the drop-down list, just tick the ‘Hide this blog in Admin Bar’ checkbox for each of the blog sites that you want removing from your My Sites drop-down list. 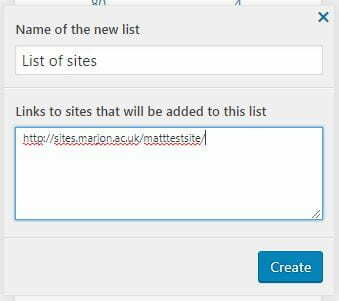 If you still have too many sites in your My Sites drop-down list after removing sites from the list, you can create separate lists to help manage your sites. To do this follow the below steps. Once the list has been created, you’ll need to visit the settings to be able to see all the sites attached to it. 5. Click on the little cog icon for the list > You can then visit any site, by clicking on the title of the site. You may like to then create a browser bookmark for your list page, so you can quickly access it. In addition, you may like to create multiple lists for different areas. This entry was posted in DIT hint of the week and tagged Edublogs. Bookmark the permalink.